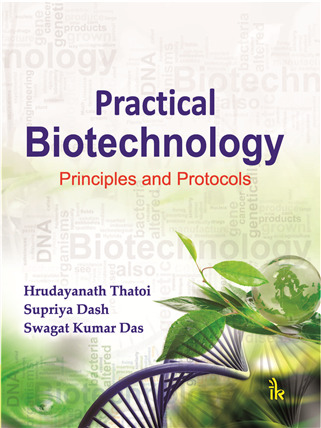 Practical Biotechnology:Principles and Protocols | I.K International Publishing House Pvt. Ltd. This book principally contains practical aspects of biotechnology, its theoretical background, working principles, and procedures meant for conducting experiments in the laboratories. 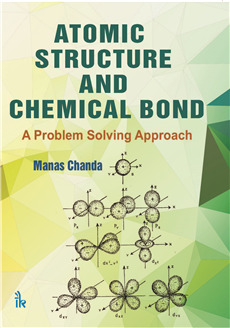 The experiments in this book are spread in different chapters like Biochemistry, Microbiology, Immunology, Molecular biology, Plant and Animal Biotechnology, Environmental Technology, Industrial Biotechnology, Biostatistics and Bioinformatics. Besides, a chapter has been devoted towards discussion on safety guidelines, setting up of biotechnology laboratory, ethical issues concerning microbiology and genetic engineering work along with different reagent preparation for conducting laboratory experiments. 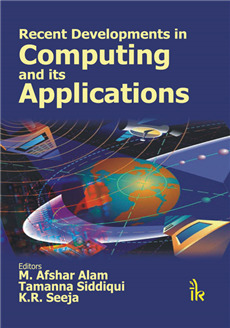 Each chapter aims to describe both the theory and relevant practical details for a given technique, and to identify both the potential and limitations of the technique. 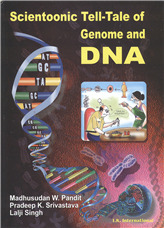 This book is designed as an intensive introduction to the various tools of molecular biology. It introduces all the basic methods of molecular biology including cloning, PCR, Southern blotting, Northern blotting, Western blotting, DNA sequencing. 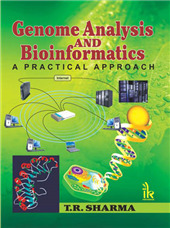 This book is useful for final year undergraduate (especially project) students, post-graduate research students and research scientists and technicians who wish to understand and use new techniques in the field of Biotechnology. Brief description and working principles are provided on essential instrumentation used in biotechnology experiments. Commonly asked questions in viva voce examinations. Well-tested experimental protocols for each technique. Reagents and preparation of each experiment separately. Complete schedule of experiments and the preparation required. Study questions at the end of each chapter. H N Thatoi :- is presently working as Professor and Head, Department of Biotechnology, North Orissa University, Baripada, Odisha. He has also served as Reader and Head of Department of Biotechnology, College of Engineering and Technology, a constituent college of Biju Patnaik University of Technology, Rourkela, Odisha and Assistant Professor (Microbiology), Basic Science College, OUAT, Bhubaneswar. Dr. Thatoi completed his P.G., M.Phil and Ph.D from Utkal University, Odisha. Dr. Thatoi has 12 years of teaching and 20 years of research experience in the field of microbiology and biotechnology. His areas of teaching and research include microbial diversity, molecular biology, genetic engineering, environmental and industrial biotechnology. He has implemented many research projects funded by DST, Government of Odisha, UGC-DAE, Government of India and State Forest Department, Government of Odisha. 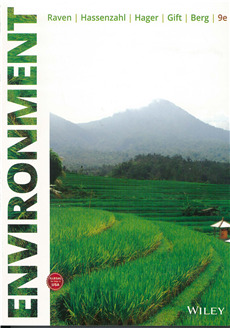 Dr. Thatoi has co-authored one text book, two reference books, three edited books, and one proceedings. To his credit, Dr. Thatoi has published more than 160 research papers in national and international journals, book chapters and proceedings of seminars. Till date, ten Ph.D. students have already been awarded under his guidance and eight more are still working under him. Besides, he has also guided 4 students for their M.Tech dissertation and many students for their B.Tech and M.Sc dissertations. Supriya Dash :- is working as a faculty in the Department of Biotechnology at College of Engineering and Technology, a constituent college of Biju Patnaik University of Technology, Rourkela, Odisha. She carried out her research work from Central Institute of Freshwater Aquaculture (CIFA), Bhubaneswar, a premiere institute of ICAR as a research fellow. She obtained her Ph.D. degree from Utkal University on the topic ';Fish Immunology'. She has more than 7 years of teaching experience in the field of biotechnology. Her teaching areas are immunology and immunotechnology, cell biology and genetics, animal and stem cell technology, genomics and proteomics, etc. She has more than 20 research publications in various reputed peer-reviewed international and national journals. She has supervised many students at the B.Tech and M.Sc. level. She has also one patent to her credit on ';Male specific protein in fish'. She has worked as a trainer for DNA fingerprinting and molecular biology training organized by CET, BPUT. Swagat Kumar Das :- is working as a faculty in the Department of Biotechnology at College of Engineering and Technology, a constituent college of Biju Patnaik University of Technology, Rourkela, Odisha. He obtained his B.Pharm degree from BPUT, Rourkela and M.Tech degree from Rajiv Gandhi Proudyogiki Vishwavidyalaya, Bhopal and qualified GATE in the year 2007. He has more than 6 years of teaching experience. His teaching areas are medical and pharmaceutical biotechnology, upstream and down process engineering, biochemical reaction engineering, intellectual property rights at the B.Tech and M.Tech levels. 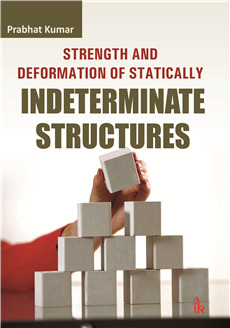 He has published 8 research papers in various peer reviewed international journals. 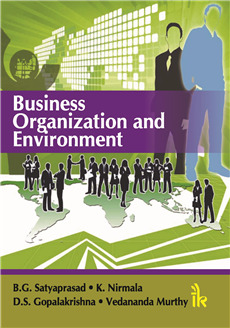 He is presently pursuing Ph.D. degree in Ravenshaw University, Cuttack. His research areas include phytochemical analysis and drug development for diabetes from mangrove plants.